Bookings are normally accepted for Monday to Friday (4 nights) or Friday to Monday (3 nights) or Saturday to Saturday (7 nights) However we will always try to accomodate guests who may want different start/end dates or longer stays. Lettings are generally for three, four or seven night stays from Friday to Monday or Monday to Friday (or Saturday to Saturday during school holidays) although we will try to accomodate different start/end days where ever possible. 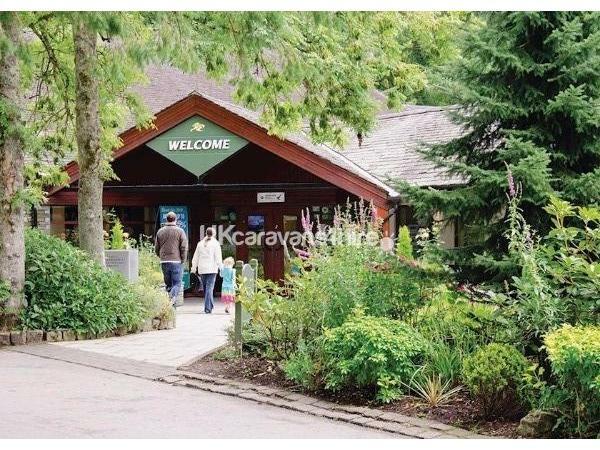 Arrival time is from 3pm onwards and we ask our guests to vacate by 10am on departure day. 2019 BOOKINGS ALSO NOW BEING TAKEN. 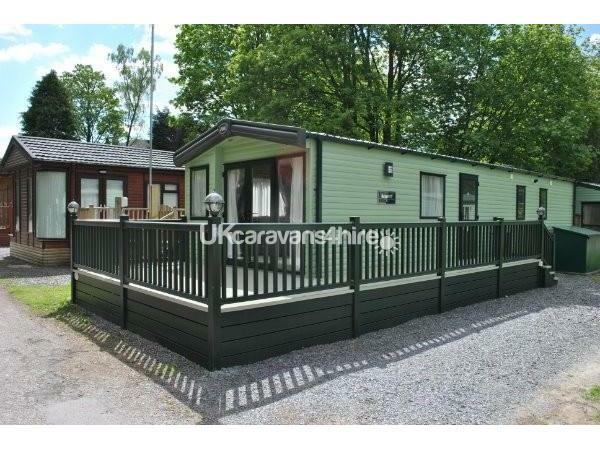 Treat yourselves to a fabulous well earned break at Number 7 Troutbeck in our amazing centrally heated Platinum grade super luxury static caravan (platinum is the highest grade possible) located in an exclusive area of privately owned properties in a very quiet part of the fabulous award winning White Cross Bay Holiday Park and Marina located on the shores of Lake Windermere in the incredible English Lake District. 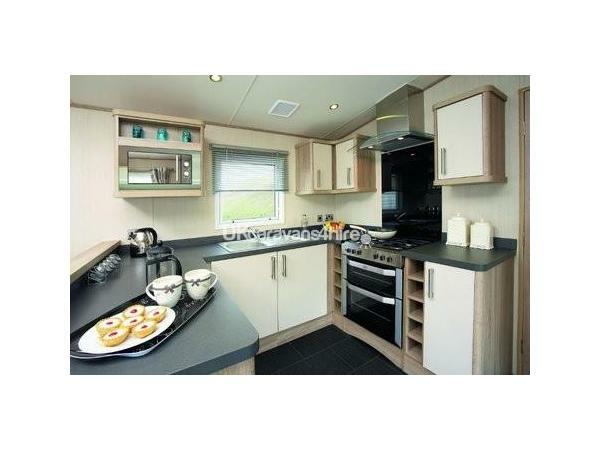 The caravan is a 2016 ABI Heywood which is in outstanding condition throughout. 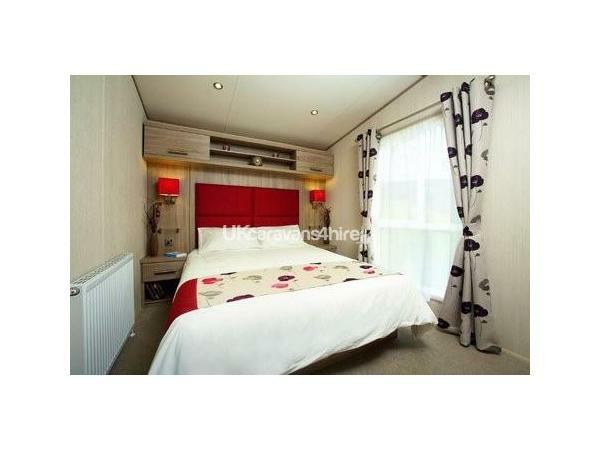 It has three bedrooms consisting of bedroom 1) double bed with TV/DVD and en-suite toilet/wash basin, plenty of wardrobe and storage space. bedroom 2) two full size single beds and storage space. bedroom 3) two bunk size beds and storage space. There is a separate family shower room with full size screened shower cubical, a wash basin and a toilet. In the very well equipped kitchen you will find a full size gas cooker with four ring hob, oven and grill, a microwave oven, a full size fridge freezer and a sink with hot an cold running water All pots ad pans dishes plates cups etc and all cutlery is provided for you In the lounge is a very comfortable large "L" shaped sofa. There is a large screen TV ad a DVD player, also a docking station for your "ipods" to plug on to. A feature fire place with a log burning effect screen. Every room has its own central heating radiator. At the front of the lounge is a full length double patio door which opens up onto the large decking area, where you will find a patio table with six chairs and a sun umbrella and also a good sized gas BBQ with all cooking tools and gas provided. The decking is fully enclosed with a gate at one end. All bedding is provided. The only things you will need to provide are your own towels. 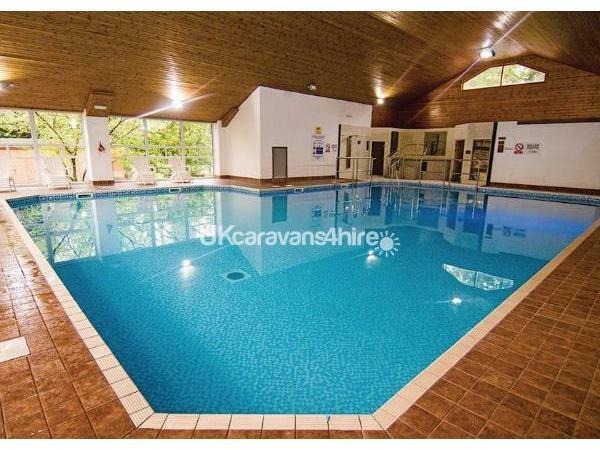 The holiday park has its own indoor heated swimming pool, Gym and sauna which require a pass to enter. The pass price is a one off payment of £15 for the entire family and it lasts for the full duration of your holiday. The pass is optional and can be purchased at the reception office if required. 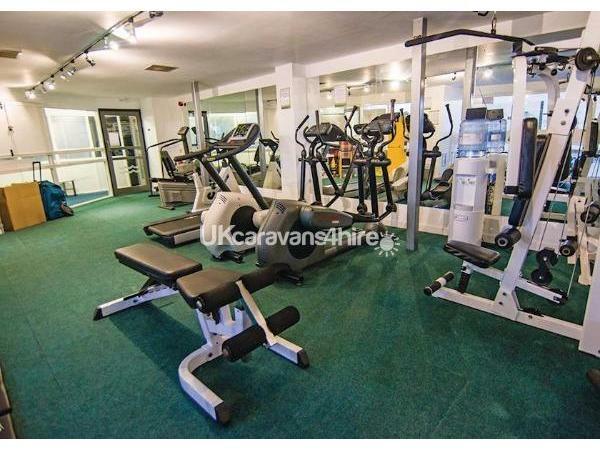 It is just a gentle five minute stroll to the site facilities which include an indoor swimming pool, Jacuzzi, steam room, sauna, gym, restaurant, bar, amusements, takeaway and a shop. Dogs are welcome and there is a woodland dog walkers area on site and an excellent children's staffed activity centre, marina and outdoor play areas. 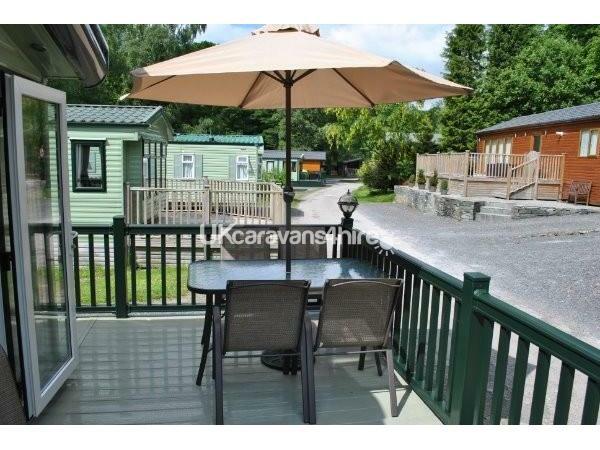 White Cross BayHoliday Park is situated between Windermere and Ambleside, and has an open lakeside frontage with picnic areas. It is both family and dog friendly. Outdoor facilities on site include 2 children's play areas, a multi use games area, marina, woodland walk and beer garden. The location is ideal for walking and cycling. 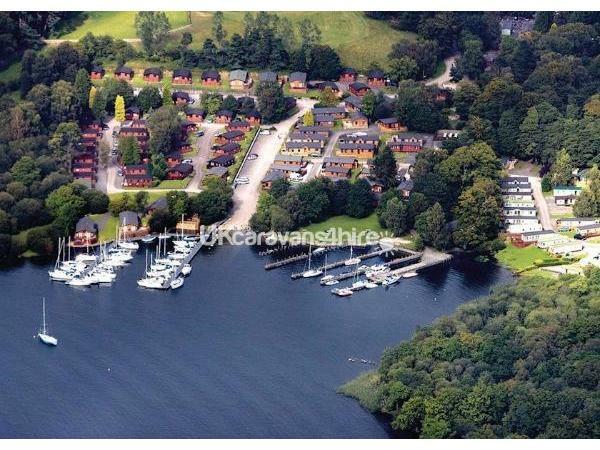 White Cross Bay holiday park nestles on the shores of Lake Windermere, midway between Windermere and Ambleside, in the Lake District National Park. Lake Windermere, the largest and most popular in the area, boasts a wide range of lakeside activities from walking and cycling to rowing, horse riding, taking a trip on the steam railway, plus lake cruises from Bowness to the pretty village of Ambleside and down to Lakeside, which has a celebrated aquarium. Children will also enjoy The World of Beatrix Potter in Bowness-on-Windermere, where technology brings her characters to life, and Brockhole Lake District Visitor Centre, with its Treetop Trek aerial adventure is a short walk away from the site. 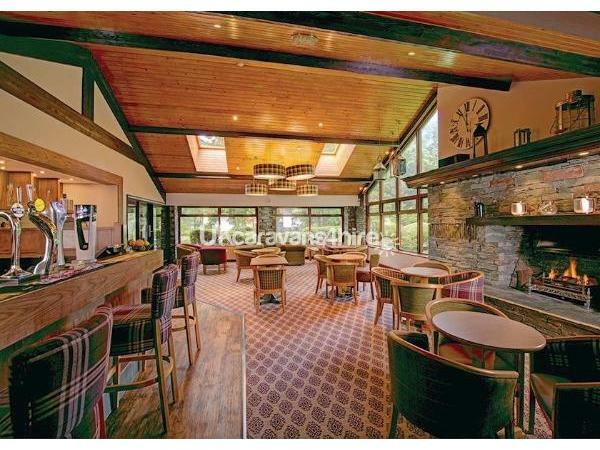 With destinations including Coniston Water, Kendal, Keswick and the Lakeland Mountains all within easy reach, this location is perfect for a Lake District holiday at any time of the year. Additional Info: Swimming pool, Sauna and jacuzzi. Gym, Shop, Restaurant, Bar, Reception, Tennis/ball game court, Children's club and play ground area. Woodland dog walks. Marina. (please note; There is an optional nominal charge made by White Cross Bay Holiday Park which covers the entire number of people in your holiday booking for the full duration of your holiday for use of the swimming pool, Gym and Jacuzzi. If you wish to use these facilities, the payment is made at the reception area. - all other facilities are free of charge). No reviews found. If you have recently stayed in this holiday home please leave a review, it only takes a few moments and will really help future guests when they are searching for holiday accommodation at White Cross Bay.